The #1 with its crew. Crewmen are identified as (left to right) Elmo Bevley, Fireman; Bob Hogue, Engineer; Ruel Methvin, Conductor; and ? Fillmore, Brakeman. Elmo Bevley had been the regular engineer assigned to the #24 before the arrival of the #1, and Bob Hogue had been the regular engineer assigned to the #25 before the arrival of the #1. The #1 was based out of Kinyon for nearly its entire career on the McCloud. Photo from the collection of Dennis Sullivan. 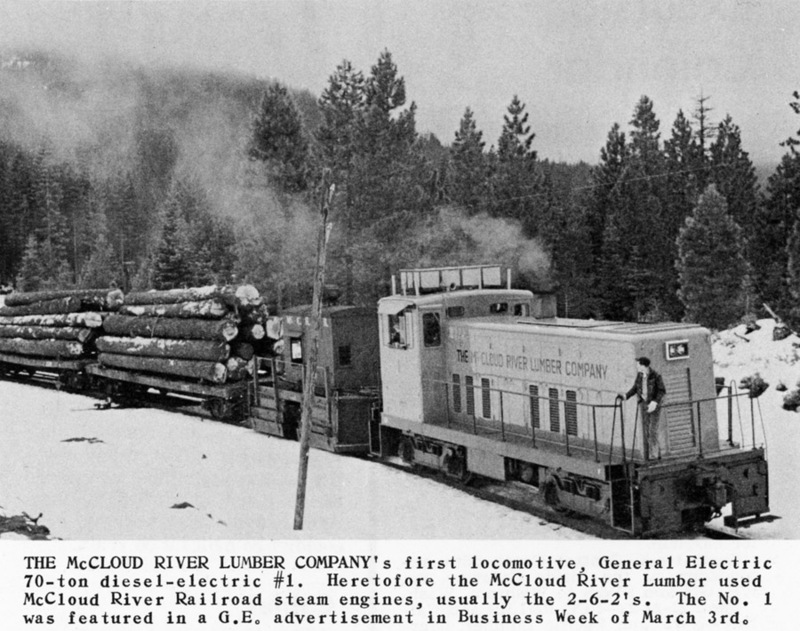 McCloud River Lumber Company #1 (General Electric 70-ton diesel switcher). This is from a period Western Railroader. This is a General Electric advertisement that appeared in Business Week. Click here for full size for reading the ad. The #1 as it appeared in August 1970 as Port of Tacoma #702. 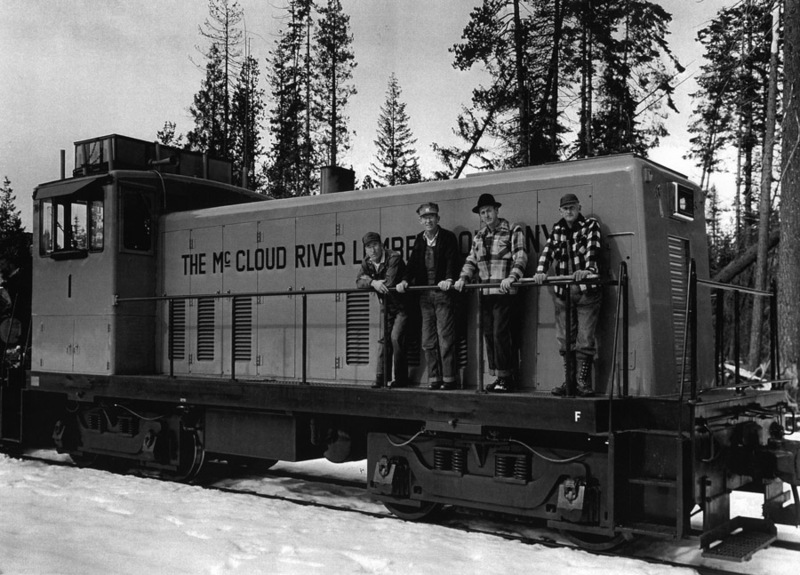 The locomotive is still wearing its McCloud River Lumber Company paint, with the black lines on the hood covering the McCRLCo markings. 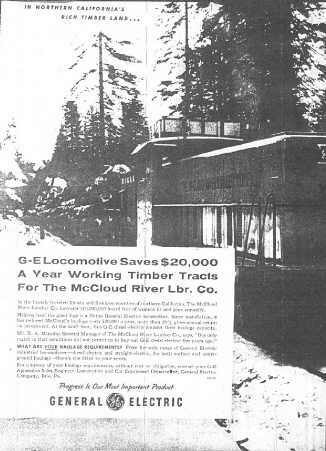 The frame of the #1 had also been painted red while in McCloud, but had been painted black by the time it arrived in Tacoma. Note how some of the red paint is starting to show through the black, however, especially on the handrails. Photo by and courtesy of Keith Ardinger. 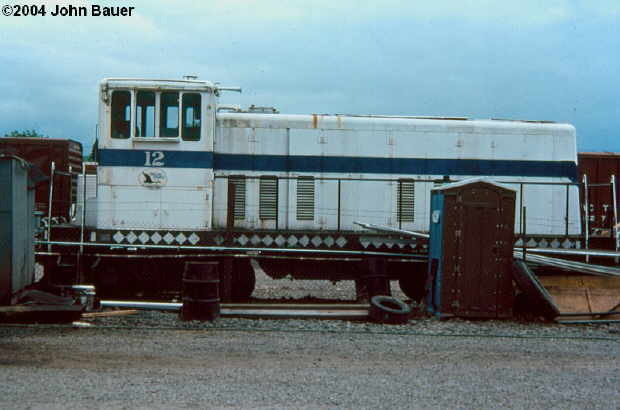 This photo shows the former McCloud River Lumber Company #1 as it appeared on 6 July 1981 as Oregon Pacific & Eastern #12 in Cottage Grove , Oregon . John Bauer photo-Rob Jacox collection, used with permission.